Junior rates qualify when 17 years or under and in full time education at the start of the season. Senior rates qualify when at government retirement age and in retirement at the start of the season. 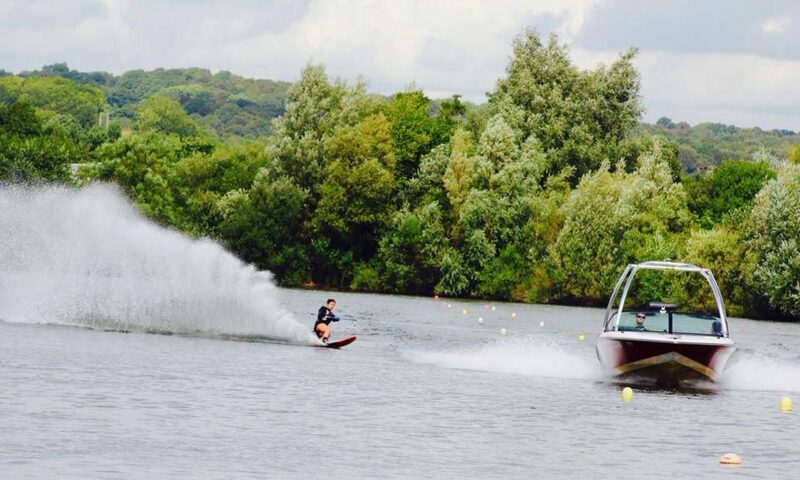 Each Ski or Wakeboard tow shall be no more than 10 minutes or 6 passes of the slalom course, whichever is the sooner. Skier/Boarder needs to be ready on the jetty before the boat returns with the previous rider. Members must be present to enter their name on the Ski List and may re-enter upon completion of their previous Ski. Observe your position on the list and be ready on the dock when the boat returns. Bear in mind that the driver and observer may defer their turn until a later time. Please manage your own guests and help with visitors to ensure that they are ready on the dock with all the appropriate equipment and basic instruction before the boat returns. Ski ticket numbers must be entered on the list against your name and the ticket attached to the clipboard. The ticket must be completed with your name, date and Ski number from the list. The Ski List is the final and only record of skiing activities for that day, it is your responsibility to ensure that all your details are entered correctly — particularly tickets and cash payments. A member is limited to bringing a maximum of two skiing guests on any one day. Each individual guest is limited to a maximum of four guest visits per season. The number of guests allowed to each member will be limited to six in total for the whole season. Two tickets must be used for each guest for their ski tow (a maximum of two skis in a day). Guests enter their names on the ski list, in the next available ‘guest slot’. The member who’s guest is signing up to ski, must be present along with their guest when they enter their name onto the ski list. The guest must sign the form to ensure that we capture their signature for insurance purposes. Guests must be accompanied by their host, and abide by the rules of the club at all times. Although Parents are responsible for their children, please consider the welfare of our younger members at all times. The visitor/casual Ski rate is now £25 per Ski. Each individual visitor is limited to a maximum of four Skis per season, after which they may be invited to become a member or join the waiting list. Visitors enter their names on the ski list, in the next available ‘guest slot’. The visitor must sign the form to ensure that we capture their signature for insurance purposes. Visitors must abide by the rules of the club at all times. The Duty Drivers and Committee Members all put in a terrific amount of work to keep the Club running smoothly for you. Please help out whenever you can by keeping the clubhouse area tidy and volunteering to help with any small tasks that you are able to do. Especially at the end of the day, help by putting away all the equipment and securing the shutters. Please dispose of cigarette butts in the sand bucket provided (not the plastic rubbish bin). In the receipt book please record your name, date, number of books, ticket numbers, the amount and indicate whether it is cash or cheque. Please leave the cheques inside the receipt book and they will be cleared at the end of each day. Cash should be left with a committee member (preferably Kris) who will initial the entry in the receipt book (or Ski List). Please keep the Club Mobile Phone attached to the Ski List and answer it if you are closest when it rings. Please write down any retrieved message details on the Ski List. This phone should only be used for incoming calls, retrieving messages and emergency outgoing calls.